Our Lady Bears were anxious, yet determined to get our revenge against Willow Wood during Thursday night’s game! Julia High had the crowd on their feet, as she was the lead scorer of the game! Kailee Aznar, Maddie Klemp, and Chloe Machos also helped add multiple points to the scoreboard! Madeline Ellis was an all-star defensive player with multiple steals from the Willow Wood offense. A big shout out to Arianna Santos for playing her most aggressive game ALL year!! Rylie Hansen also had a fantastic game of both offense and defense by making great passes inbounds and playing an aggressive game of defense. 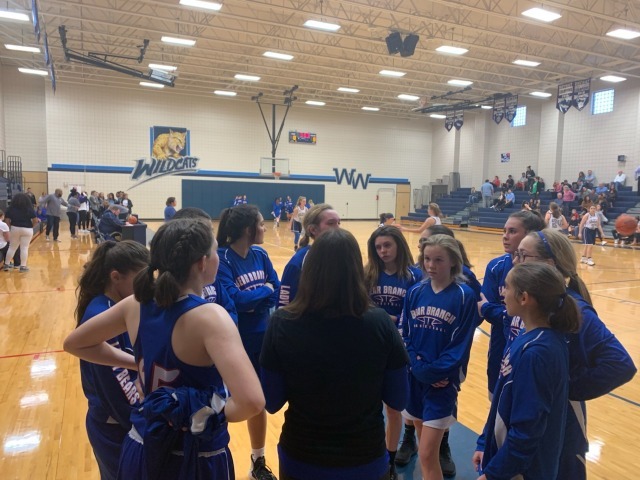 The Lady Bears played such an exciting and heartfelt game, but unfortunately, ended up falling short against Willow Wood, 21-29.